You and your bear look so cute in your matching pink. My mommy is a child of the 80s too, so she also has several Care Bears. 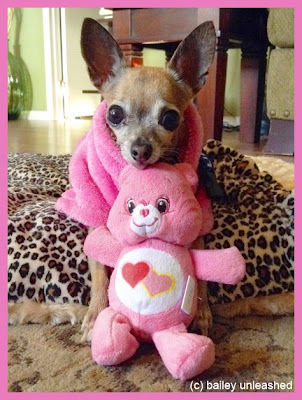 :) We are glad to see you getting so much better! Its so good to hear that Bailey is getting better every day, what a trauma you've all been through but with a happy ending! Yeah !!!!! 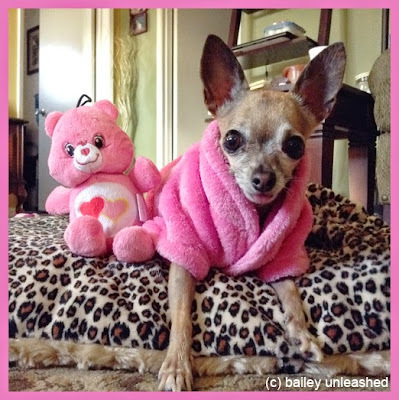 I luffs that bear, a pink bear, just right for a Princess! 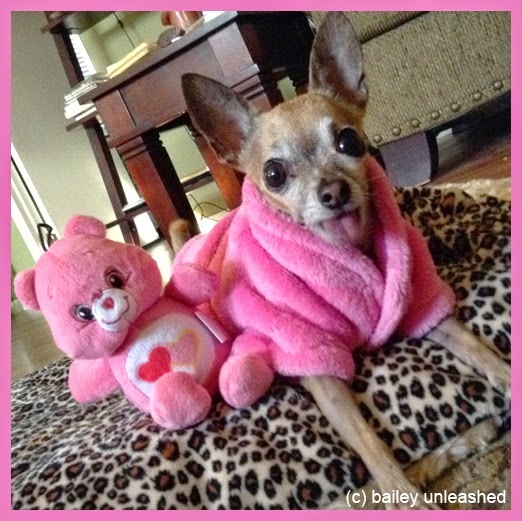 Awww I bet that Bailey loves having that pink little pal! So cute! She is looking really good too!